By proposing a development that aligned with existing zoning, the owner was able to move the project much more quickly. Rendering of Dedham Dior. McKay Architects. Dedham, conditions before the project. This article is drawn from a new case study by the Metropolitan Area Planning Council and the Congress for the New Urbanism, Reclaiming the Strip Mall: A Common Suburban Form, Transformed, by Christopher Kuschel. Download the report here. In the Boston suburb of Dedham, population 25,000 people, the Dior Dedham has demonstrated how a small site can be transformed into a pedestrian-oriented oasis, even in a place designed for drivers. Located along the Providence Highway, a six-lane road lined with strip malls and light industrial development, the 0.8-acre Dior Dedham property has been owned by one family since the 1970s. 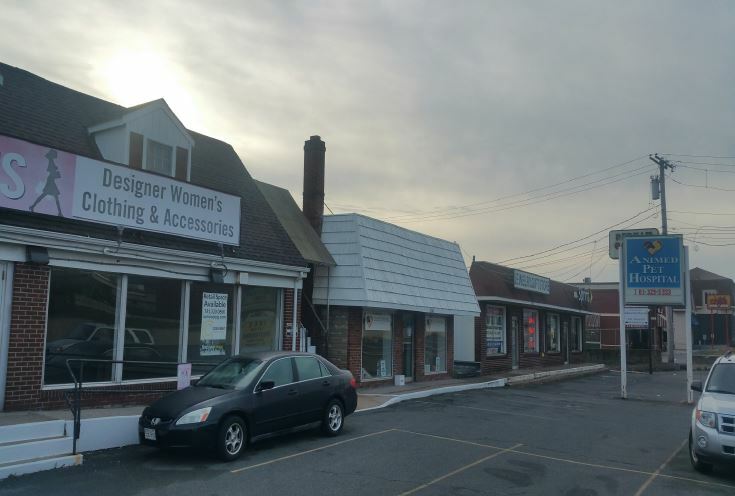 It contains a small strip mall with several retail establishments, and a large building housing the family’s Dedham Cabinet Shop. Now in its third generation, the shop is managed by proprietor Chris Priore, who owns the land for his business and an adjacent parcel with retail space that he leases. Next to Dedham Dior is Legacy Place, one of the largest retail lifestyle centers in the region, home to more than 80 chain retailers and restaurants, a 15-theater cineplex, a Whole Foods Market, a structured parking facility, and large swaths of surface parking. Two nearby residential apartment buildings contain more than 600 units, many of which are deed-restricted as “affordable” to residents making 80 percent of the Area Median Income—yet still commanding relatively high rents (2-bedrooms lease for $2,300 and up). On the southeast side of these apartments, across the street, is the Dedham Corporate Center commuter rail station. An abundance of shops, a movie theater, everyday goods, multi-family residences, transit, and nearby open space: these sound like the ingredients for a vibrant, mixed-use neighborhood. Yet the area does not operate as a cohesive, walkable place that can take full advantage of its transit-connected location. 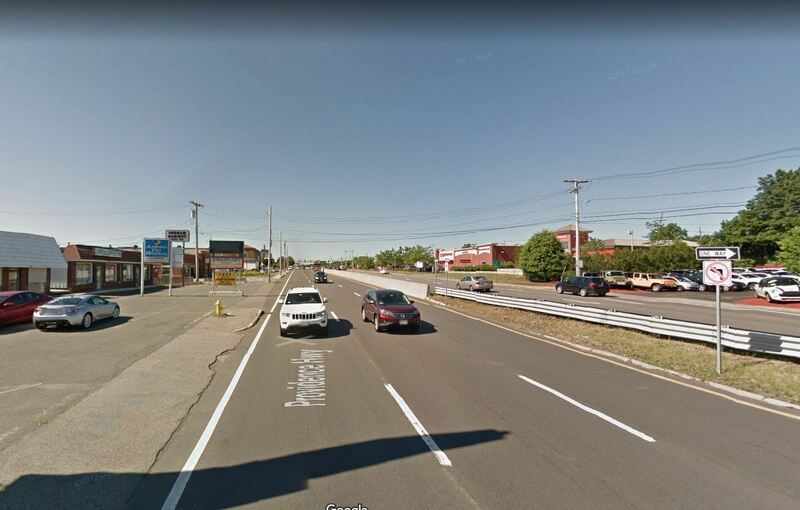 Because of this, the area was the subject of studies by the Metropolitan Area Planning Council (MAPC), metropolitan Boston’s Regional Planning Agency (RPA); the Urban Land Institute Technical Assistance Panel (TAP), a study sponsored by the Town of Dedham. Although the two studies had slightly different study area boundaries and focuses, the numerous recommendations largely support each other, among them a suggestion to introduce additional residential and mixed-use development that would truly enhance walkability and contribute to creating a real neighborhood. As the property surrounding Legacy Place became attractive for development, Priore sought a new, more pedestrian-oriented use for his property. Not a developer by trade, he spent time brainstorming on what would work best. Priore first looked into other retail opportunities, such as a bank or a Trader Joe’s grocery story. But parking requirements have ballooned in the area since his grandfather’s day, due to newer zoning. Accommodating the new requirements were virtually impossible. Priore considered other plans and concepts. A big box retailer would also not be feasible because of the lack of necessary space for parking. He instead focused on creating space for smaller retailers to encourage a greater diversity of tenants. Working with a local architect, he determined site layout and architectural style. Permitting took about 18 months. The property’s location in the Highway Business District meant that mixed-use development was already allowed, and parking was set at one space for every 200 square feet of retail, typical of suburban communities in the area. Residential parking was incorporated within the structure of the building on the first floor. Both the town planner and, critically, the planning board were supportive of the vision. The Town of Dedham provided input that helped inform and strengthen the project, including ensuring sufficient open space and pedestrian connectivity. The entire process, including construction, took three years, with a summer 2019 opening. 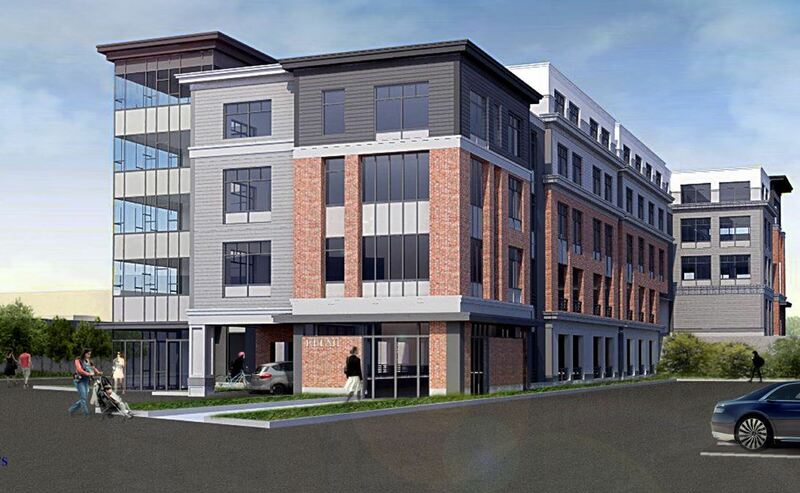 The development, known as Dior Dedham, contains 48 apartments and 8,500 square feet of retail space. The building is four stories facing Providence Highway and five in the rear due to slope change. The building mass is broken up into a series of smaller bays, incorporates high-quality materials, and contains abundant windows on the ground floor to activate the space. The building is buffered from busy and congested Providence Highway by landscape bedding and trees, along with parking in the front. Because of the auto-centric nature of Providence Highway, the development focuses the pedestrian connection on the other side toward Legacy Place. The residences are concentrated on the rear of the property, as furthest removed from noisy Providence Highway and connected to Whole Foods and Legacy Place with enhanced pedestrian links. Use local help. The biggest advantage to doing a project in Dedham is using the attorneys and architects who already know the town. They know what the town is expecting, have relationships with important stakeholders and decision makers, and can navigate local politics. Get access to cash. Given the bank’s requirements, it was critical to find a partner who had the liquid assets needed as collateral. In addition, Priore and his partner spent tens of thousands of dollars on various costs before even knowing if the project would move forward. Have patience. Although the town was supportive of the project and there was little community opposition, there was red tape to overcome, daunting for a new developer. When possible, work within existing zoning. By proposing a development that aligned with existing zoning, the owner was able to move the project much more quickly and avoid a potentially insurmountable roadblock. Learn, learn, learn. Although Priore is not a developer by trade, he spent the time to understand the types of programs that are in high demand, the elements that make for a successful project, and the going rents for various uses. Leverage planning studies. The two recent planning studies provided both a vision and market analysis for this area, allowing Priore to confirm his own analysis regarding the demand for a mixed-use development adjacent to Legacy Place and the commuter rail station. For more case studies like this, download Reclaiming the Strip Mall: A Common Suburban Form, Transformed, by Christopher Kuschel. Download the report here.